If you’re into cake decorating, you know that popular trends and techniques are always changing. What’s cool today, might end up being as passé as chevron, tomorrow. I know, who thought that would ever be considered overdone. If you’re thinking about your own wedding cake, I’m not here to tell you what you should choose, or that your ideas aren’t in this year. I am here to share some of the styles that look like they’ll be trending, and also letting you in on the looks that won’t be going away just yet. 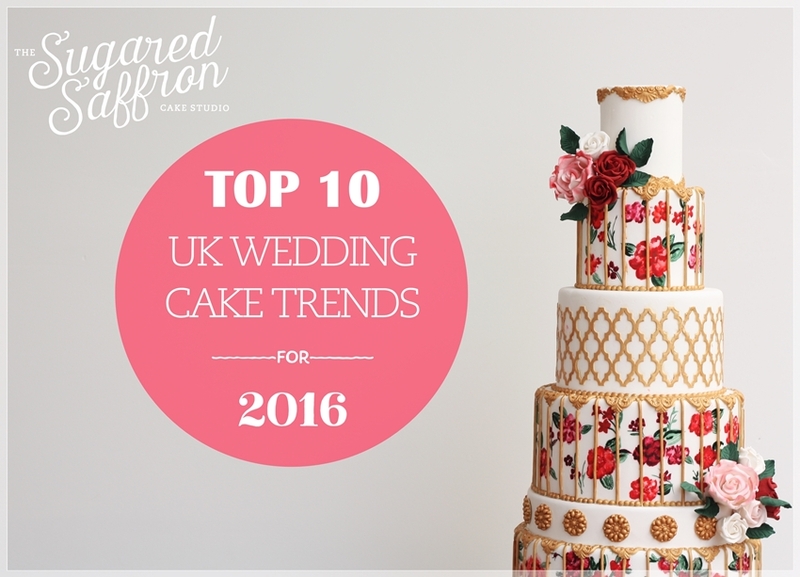 As the new year is almost upon us, here are Sugared Saffron’s top 10 wedding cake trends for 2016. Our appetite for cake is growing, with more larger than life cake designs being featured in magazines and blogs. With the internet narrowing the gap between different cultures and traditions, couples are being exposed to cakes that would have otherwise, never had a look in. 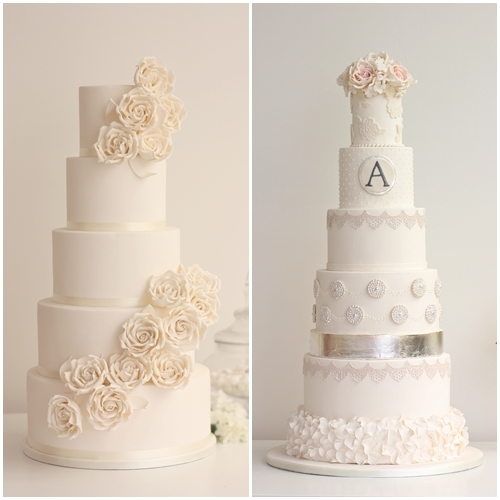 One of these styles is the SUPER sized wedding cakes. Popular in the Middle East, and countries like Indonesia, these whopping cakes aren’t just big, they are MASSIVE feats of baking and engineering combined. 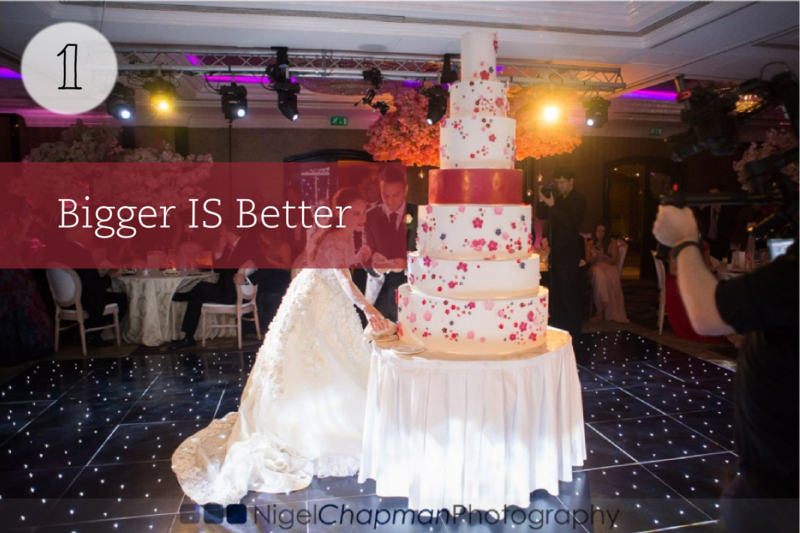 The truth is, few brides have the number of guests (or budget) for this size cake in the UK. That hasn’t stopped these sweet mountains from influencing us, with more and more couples keen to add extra tiers for height and impact. Turning a 3 tier wedding cake, into a 5 tier, or even a 6 tier into an 8! 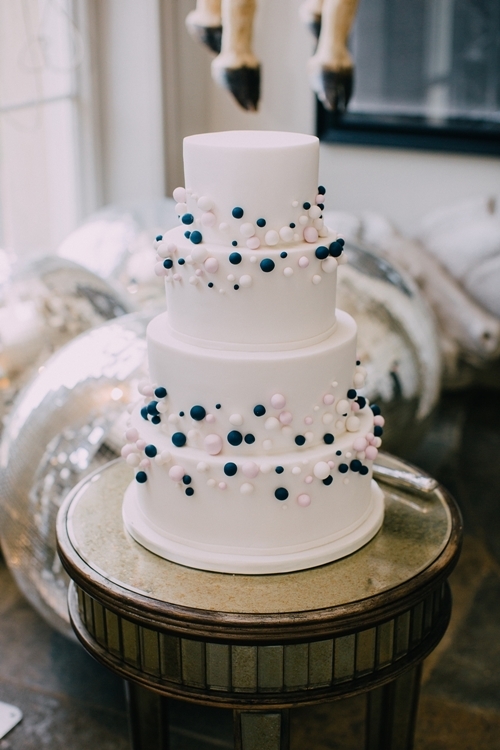 If You’re Planning – Ask your wedding cake designer if they’d be happy to add some faux tiers. Remember, the tradition is to cut the bottom tier, so you might want to keep that real. If you’re using a talented professional, there’s no way of knowing what tiers are real or fake. Less experienced bakers struggle here, as the difference in the overall finish of the real cake vs. the fake cake can be obvious. This trend is really about customisation, and the things you can do to make a wedding cake more personal. 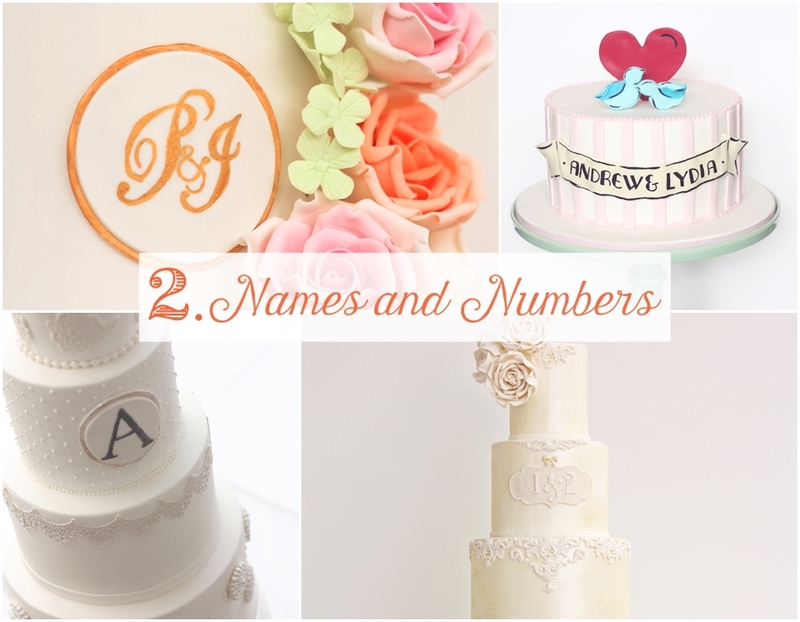 A simple monogram plaque is an easy and inexpensive way to put your stamp on a wedding cake. If a couple are particularly design led, they may even have their own stationery suite with a specially made set of initials, crest or some other symbol that represents them. Using stencils, like the ones here are probably the most popular and easiest way of transferring letters an can simply be done with royal icing. Other options include creating a unique design with thinly extruded paste, royal icing, or painting on your design with food colours. If You’re Planning – bring up the idea with your cake maker, I’m sure that they will be happy to add it on to your design. 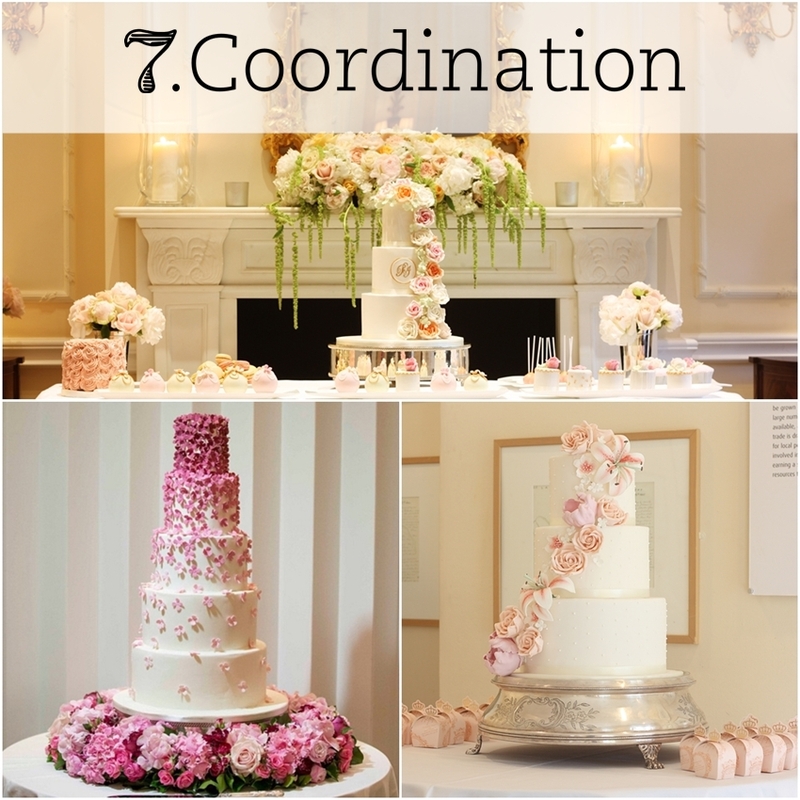 Take a look at my Monogram Wedding Cake Pinterest Board for some ideas on what style to choose. Okay, so this has been on my top 10 for the last 25 couple of years, one of those just won’t budge. I don’t even think we can call this one a trend any more, it’s a design element that every cake maker has been asked to incorporate. There has been a gentle sway towards the gold and silver leaf tiers, as oppose to the lustre finish we all know and love. Plus there’s been an almost complete disappearance of glitter – most likely due to the controversy and confusion that surrounds the issue with the edible vs. non edible. 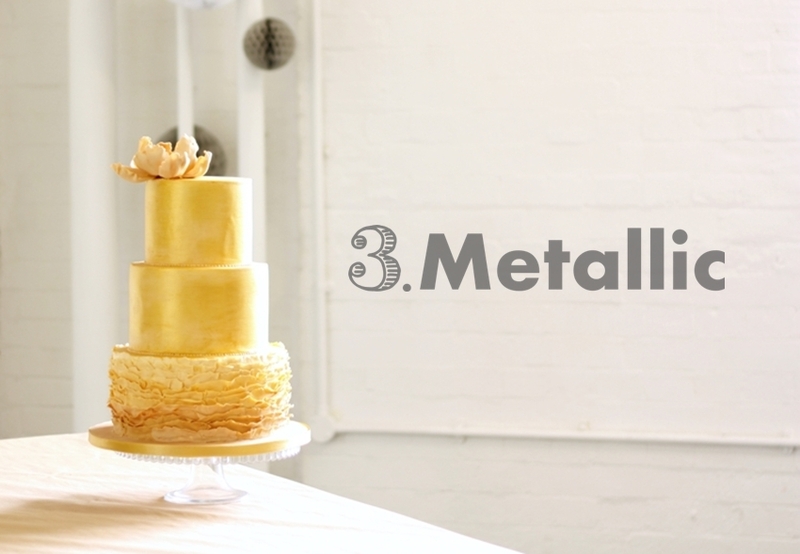 If You’re Planning – Most cake makers will be happy to incorporate metallics, unless they are super duper traditional. 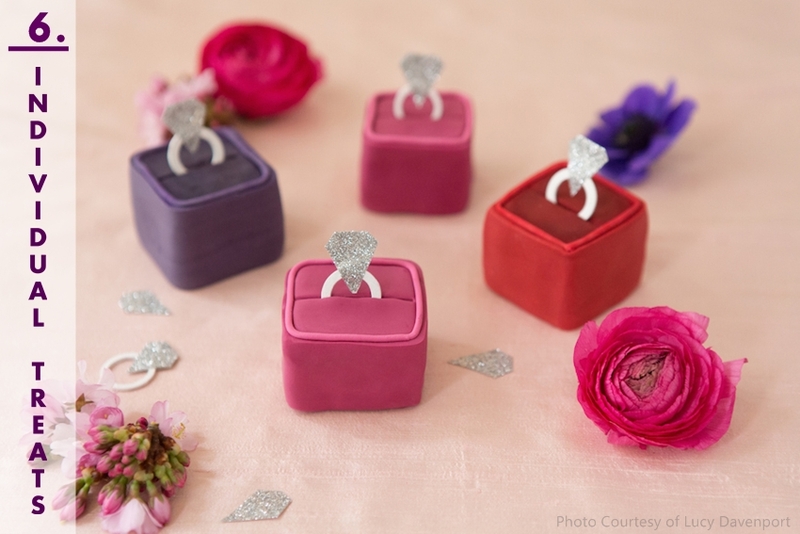 Bear in mind that the use of golds and silvers will make your cake a little bit more costly. Small pots of edible gold and silver that can cost up to £30! Opt for smaller painted details if you’re budget concious, or full tiers of edible silver and gold leaf if you’re happy to go the extra mile. Now that as a nation we’ve abandoned the fruit cake at weddings (yes, I said it), is this our way of appeasing the traditionalists? Or maybe it’s because couples think a coloured cake will date their wedding pictures? 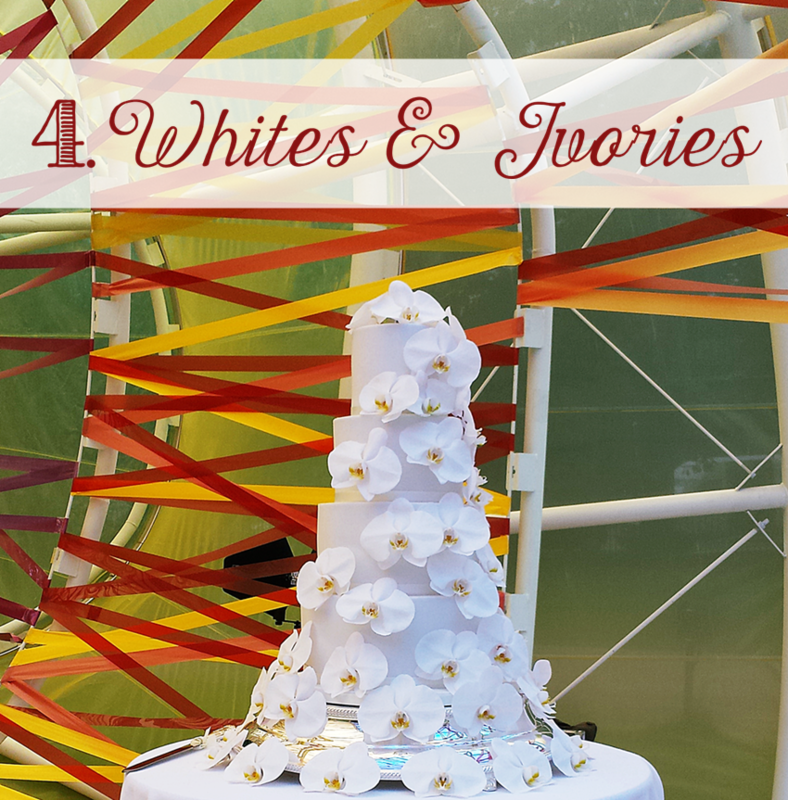 Whatever the reason, white and ivory cakes are coming back around. Although I don’t think they ever really left. 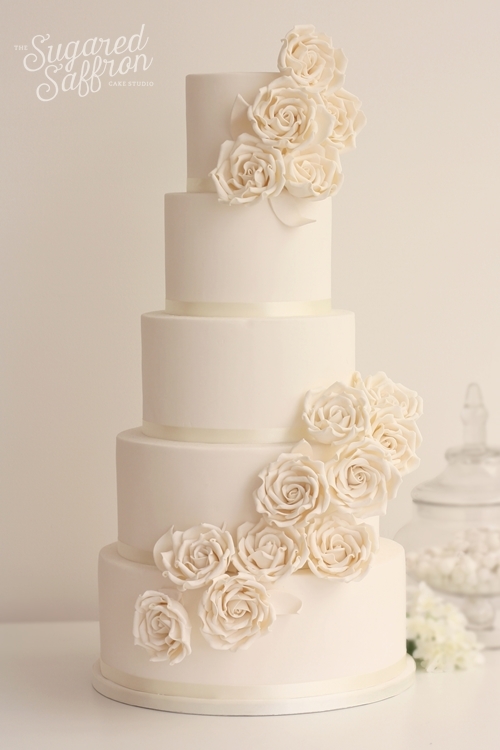 A white cake is far from boring, instead think of them as a blank canvas to work our cake-magic on. 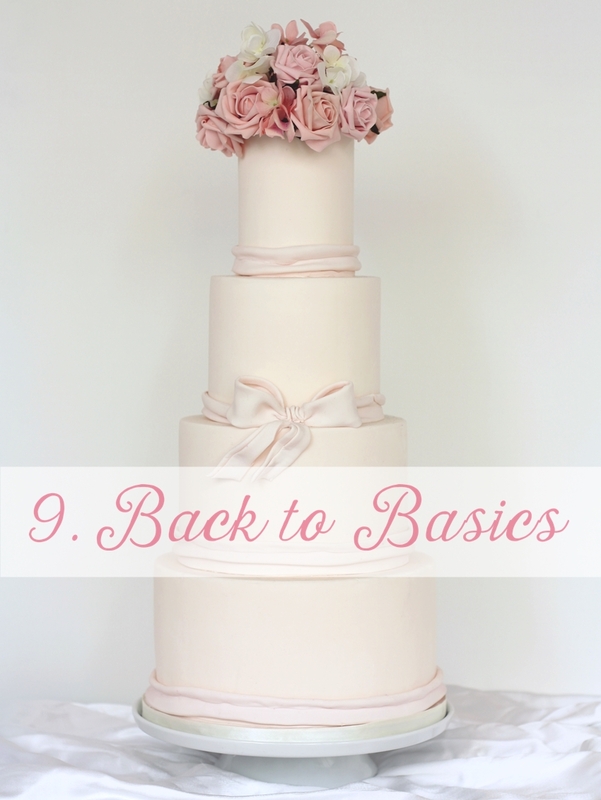 White cakes look amazing with cascading sugar or real flowers, and by adding royal icing or sugarpaste details, you can take a cake from elegant to downright regal. It’s a guaranteed way to make sure a cake looks classic, classy and sophisticated. 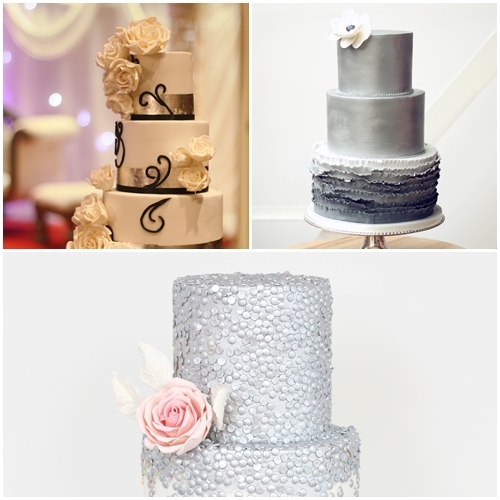 If You’re Planning – Team your cake with a classic silver stand for a really refined look. 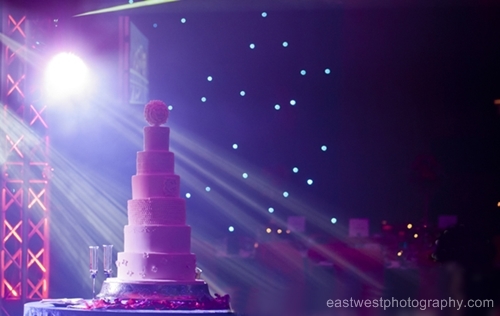 If you’re venue is dry hire or won’t supply it, ask your wedding cake maker if they’ll let you hire one. It’s usually a really reasonable price – just make sure you return it in the specified time to avoid any other charges. LOVE. It might the regeneration hipsterification gentrification of all the best parts of London, or the belief that somewhere inside me is a florist waiting to escape that is the root of my love of foliage in weddings. I mean just look at it! It can sometimes be seen as a cheap way of dressing up a wedding, but honestly who cares? It doesn’t always have to sit on the cake either, lots of cake makers are rightfully concerned about the risk of cross contamination between the plants and the cake. 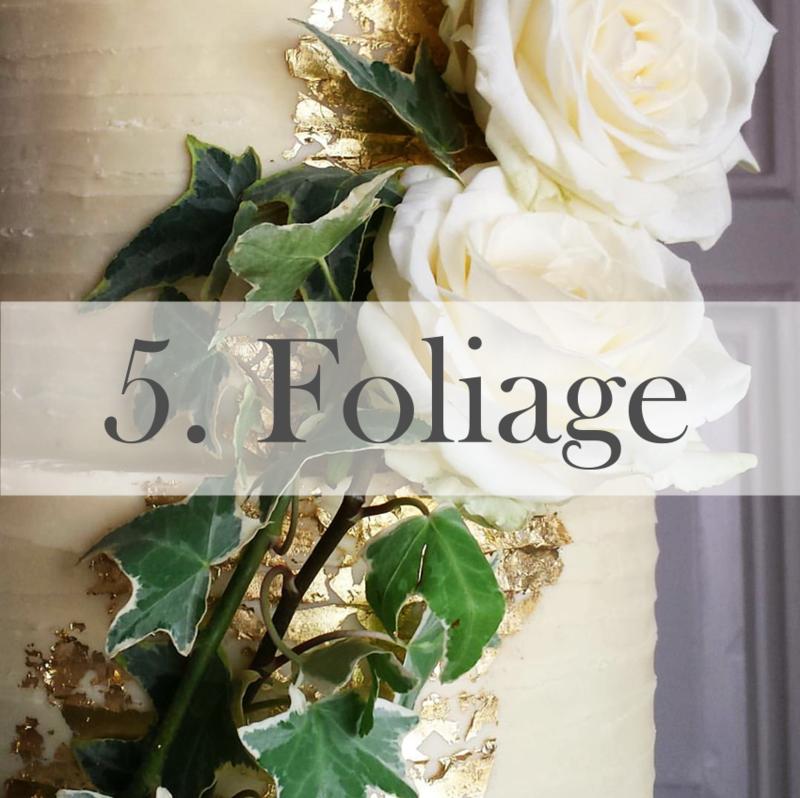 Using flowers and foliage at the base of the cake, underneath or around the cake stand can look just as good as having it on top. 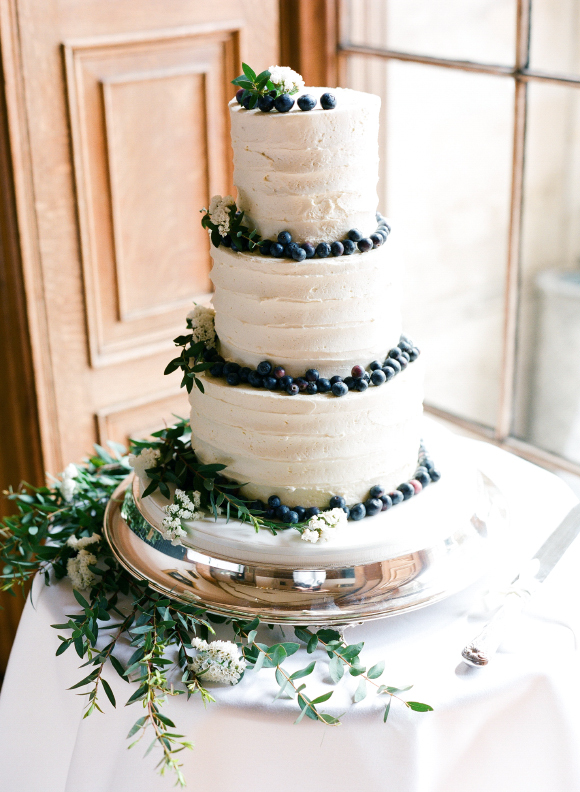 Cake by Sugared Saffron, Flowers and foliage by Brixton Flower Club, Image by Taylor and Porter. If You’re Planning – Speak with your florist and cake maker and ensure that they’re both on the same page. Some florists are happy to dress the cake and some cake makers will insist on doing it themselves. Do ask about whether the plants are poisonous as lots of popular wedding choices are dangerous if ingested. Did you know that hydrangeas are ‘moderately toxic’ if eaten? Even though cupcake towers have sort of fizzled out in popularity, there’s a still a desire to provide wedding guests with something that’s especially theirs. Favours are a great way to get around this, but serving guests individual treats during the reception is also a really popular option. Mini cakes, bauble cakes, cake pops and macarons are all desserts that be arranged to create a show piece that can rival a wedding cake. Macaron towers are especially popular! If You’re Planning – Find a company or individual that specialises or has experience in providing what you’re looking for. Individual desserts are notoriously time consuming and tricky, so they are never the cheaper option. And don’t take a risk if someone is offering you a service for dirt cheap – chances are it’s too good to be true! You know that perfect seamless look that you see in the weddings that they feature in magazines? Yeh, that. A lot of the time it’s because the couple have used a planner that has agonised over every single detail. But not every couple has, or wants a planner and an easy way to get that envious look is to simply focus on coordinating the major design/décor elements. An competent cake maker will ask you about the colours and style of your wedding to make sure they’re 100% about the overall look and feel. This is really important! Matching the colours of the sugar flowers on your cake, with the colours of your fresh flowers adds +75 power points* to your wedding. If You’re Planning – Take swatches or photos of your table decor, dress, flowers and anything else you have at hand to your consultation. That way you can be confident that your cake maker gets it. So it’s not a style or design, but it so deserves its own top tip point. If you’re not on the salted caramel train, we need to talk. Over a plate of salted caramels. Remember when everyone wanted a red velvet cake? Well that’s been replaced by this grown up flavour that has crawled slowly crawled into the wedding world from the patisserie world and it’s now the most requested flavour. 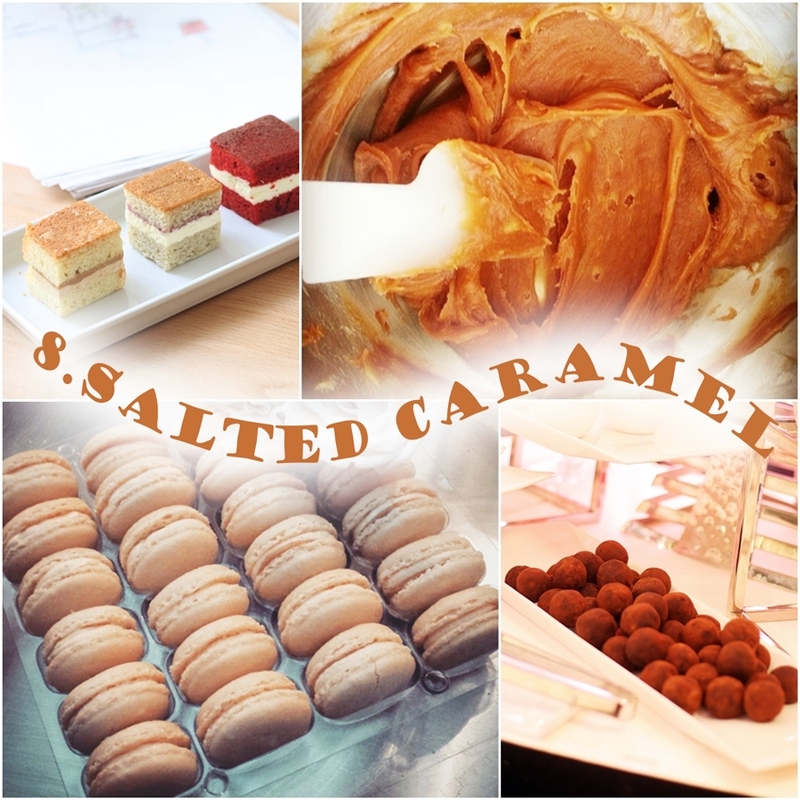 We make up our own salted caramel sauce from scratch and use it in our macarons, truffles, cupcakes and cakes, dribble. If You’re Planning – Ask your baker before booking a consultation if they offer salted caramel as a flavour, if not they may be able to accommodate you so don’t be afraid to ask. Alternatively pick something else that isn’t so traditional to add a bit of fun to your flavours. Clean, crisp and focused – no not me, just the cake dem. If you’ve followed any of my work, you’ll see I’m not a fan of the (over) use of moulds and other heavy bits and pieces on a cake (puritan!) Firstly, moulds require no skill to use, and secondly, they can take away the creativity and thought of a design. This is me overgeneralising though. When moulds are used cleverly, they are a really good way to add some finesse. When they’re slapped on all over a cake, it really does just looks slapped on. If you’re a cake maker, you know that simple cake that’s level with straight sides, smooth finish, crisp edges and no bulges can be hard to achieve. You’ve got nowhere to hide! But it also means that the detail you do use on the cake is accentuated and highlighted, not lost in a sea of distracting ‘busy’. If You’re Planning – If you like the simple clean look, choose an experienced cake maker that knows what they’re doing. Take a look at their online gallery and see if there are any designs that are in the same style. If you notice that even the heavily decorated cakes are wonky, off centre or bulgy, you might want to have a think about what your end look is. When all is said and done, what really matter is what you want. All trends die eventually, so as a bride/groom it’s up to you to find whatever style you feel passionate about, and sticking with it. A couple recently told me that they were told that their colour palette was out of fashion at a consultation :/ Not exactly great customer service there. If you’re a cake maker, finding your own style can feel like an awful slog. Take your time, develop your skills, enjoy the process and don’t try to compete with everyone around you. Plus you do know that instagram is just smoke and mirrors, right? One of the many things I love about what I do is the variety of cakes, couples and weddings that I get to do. Rustic, vintage, glam, or way out there; they all have 2 things in common. They’re executed perfectly and the clients fall in love with them. And after a good few years at this, I think that’s my style. 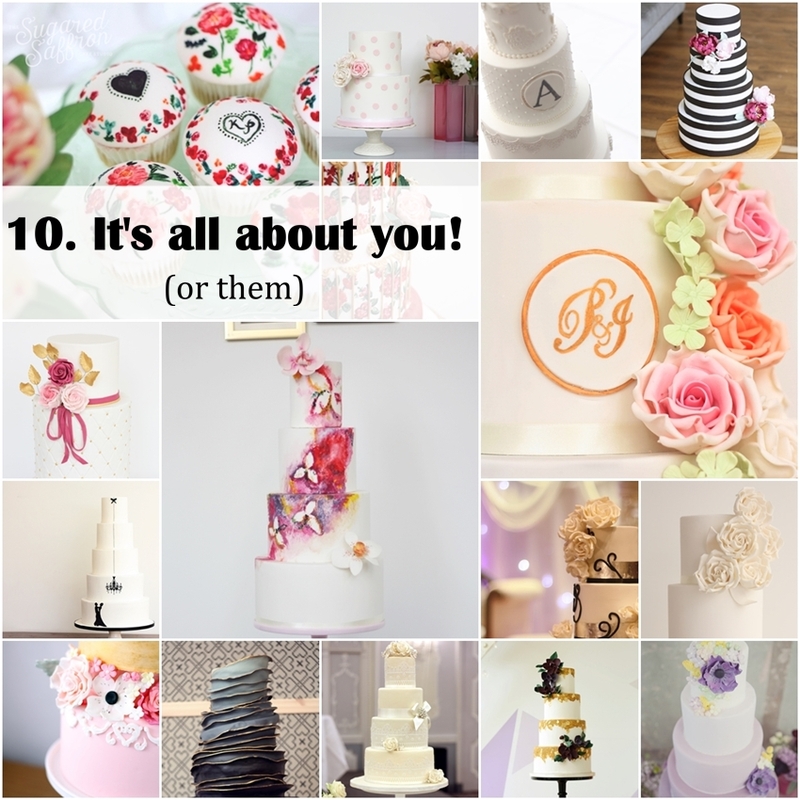 So those are my top ten wedding cake trends for 2016. Agree, disagree? Feel free to leave a comment in the section below on on facebook, twitter or instagram! *Power Points are completely arbitrary and there is no guarantee that said points will improve your experience. Terms and conditions apply. What a good article. I agree with do many of the trends here.